Battery-free refrigerators for food and beverages? Ice-makers for fish or milk cooling? Small ice-storage systems for cooling rooms? 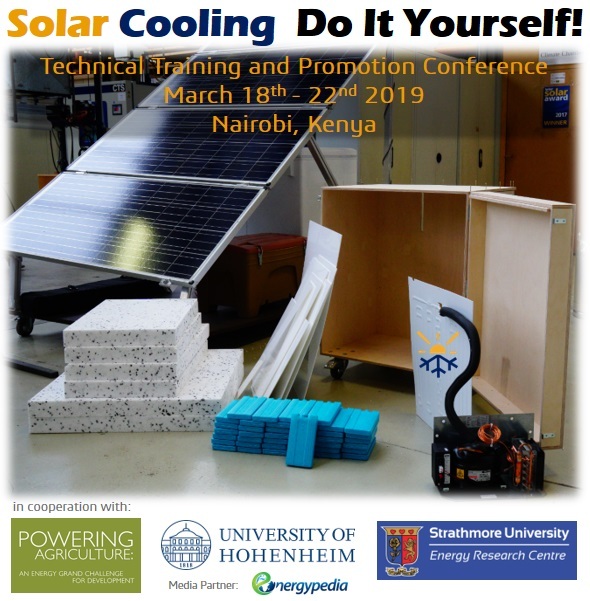 Just do it yourself with our solar cooling construction kit! Thanks to the use of solar cooling units, you can customize your own systems to meet the requirements of final users. In the upcoming workshop, we kindly invite you for a training on how to design, produce and assemble your products based on 3 hands-on example systems. on 3rd of March 2019.
will be notified as soon as possible (latest 4th of March). Interested to participate in the Training or Conference? Kindly apply below! Note: The training / conference will be free for participants. However, travel and accommodation cost will not be covered. We highly encourage the application from female participants.